End of Road for Edinburgh's Tram and Airport Rail Links? The report by Audit Scotland, the government spending watchdog, which was published this week expressed some concerns about the airport rail link project which involves tunneling under the runway. 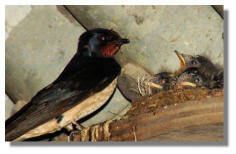 The report suggested that it would not be completed by the 2011 target date. The report was less critical of the financial aspects of phase one of the tramway project in Edinburgh itself, but pointed to a £48 million shortfall in the project. Relatively speaking, that is not a large sum, bearing in mind the £594 million estimated cost. The Audit Scotland views were not exactly damning on the projects, but the Scottish National Party, who now form the Scottish Executive, had undertaken in their election manifesto to scrap both projects. 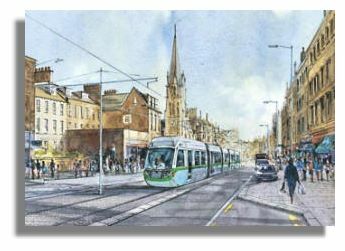 In the debate on the report in the Scottish Parliament, the First Minister confirmed that he would personally vote against the trams project. The Scottish Executive do not have a majority in parliaments, but they have already suggested that, if necessary, they will ignore defeat on the issue in the parliament. The late Donald Dewar, who masterminded the rules under which the legislature operates and was the first First Minister in 1999, indicated that the Executive had such power, but it has rarely been needed in the past. This week First Minister Alex Salmond, on a visit to Belfast, signed an agreement with Northern Ireland's political leaders. This sets out ways in which the two countries can work closer together and try to win more powers from the UK government in London. In particular, the objective is for Scottish and Northern Irish Executives to work closely on gaining the right to set their own rates of corporation tax and securing greater fiscal autonomy. There are also proposals for collaboration on education, transport and tourism. On his first overseas engagement, the First Minister addressed members of the Northern Ireland Assembly. Some staunch Unionists in Northern Ireland expressed reservations, however, about working closely with a political party with ambitions for the break-up of the UK. The graphic is the flag of the Northern Ireland Assembly. 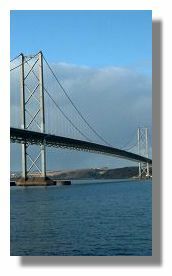 Transport minister Stewart Stevenson told Members of the Scottish Parliament this week that the "Forth Replacement Crossing Study" into a second road crossing of the river Forth between Fife and Edinburgh was now complete and Transport Scotland was considering its findings. A total of 64 options were considered and the most likely way forward was a road bridge on a line slightly to the west of the present crossing. Tunnel options have been ruled out for cost and geological reasons. The likely preferred route has the lowest estimated cost and environmental impact. Even so,expenditure is likely to exceed £1 billion. The existing bridge may have to close to heavy trucks in 2013 and to all traffic some time after that, due to corrosion in the main suspension cables. With all the main political parties now agreed that a second crossing is essential, the project may at last receive the sense of urgency that it deserves. If so, it may be completed by 2016 - though Scotland's record on large building projects is not a good one and it would be a brave man who placed a bet on that date being met. Motorists using the crossing got some good news this week about another traffic bottleneck. The single carriageway A8000 road, which is the approach road to the bridge from the south and links with the M8/M9 motorways, frequently grinds to a halt. The upgrade to dual carriageway standard is nearing completion and may be open by September, a month ahead of schedule. That will certainly help the increased volume of traffic expected to use the bridge once the tolls have been removed. The Forth Road and Rail Bridges panorama at the top of this paragraph is via Wikipedia. Although like-for-like retail sales in May were 2.1% higher than a year ago and the UK saw growth of only 1.8%, the figures were the weakest since March 2006. The joint Scottish Retail Consortium and the Royal Bank of Scotland report on the performance suggest that colder, wetter weather hit food, clothing, footwear, food, gardening and outdoor DIY sales in May. Rising interest rates - and the threat of further rises - also had an impact. However, total retail sales (which take into account new store openings) were up 6.5% on a year ago. The design of banknotes issued by Scotland's oldest financial institution is being radically changed for the first time since 1995. Bank of Scotland will issue their new notes in the autumn, featuring the Forth rail bridge on its £20 note and the 14th century-built Brig o' Doon, near Alloway in South Ayrshire, on the £5 note. The bridge theme is continued with the Glenfinnan Viaduct, on the West Highland Railway line between Fort William and Mallaig, being celebrated on the new £10 note. 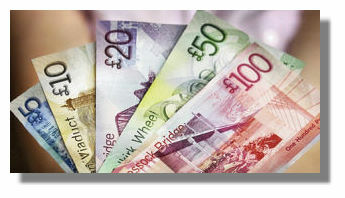 The £100 note will have a drawing of the Kessock Bridge, the crossing which connects Inverness to the Black Isle. The engineering marvel, the Falkirk Wheel, which acts a sort of "bridge" raising boats 78 feet from the Forth and Clyde Canal to the Union Canal, will be the main feature on the £50 note. The new series will incorporate the latest anti-counterfeiting technology and text on the notes will be larger than before, in a bid to make them easier for partially-sighted people to use. Unlike the other Scottish banks, Bank of Scotland have never issued "commemorative notes" for special occasions, believing that the history and importance of their banknotes is above such commercialisation. For more on the background to Scottish banknotes, see the illustrated, multi-page Rampant Scotland Web feature. Once again, the chief executive of the National Australia Bank (NAB) has felt it necessary to repeat that the group intends to keep its UK operations, including the Clydesdale Bank in Scotland. John Stewart, himself a Scot, rejects the idea that they are too small to compete. He told an Australian newspaper that "It's going really well and we see tons of organic growth" - and that directors were delighted with "progress". There has been recurrent speculation that NAB would sell its UK operations. Last September Stewart asserted that Clydesdale and its sister organisation Yorkshire Bank (now operated as one bank) "are not for sale". Analysts have suggested that with only 3% of the competitive UK banking market, NAB had to "get bigger or get out" of the UK. 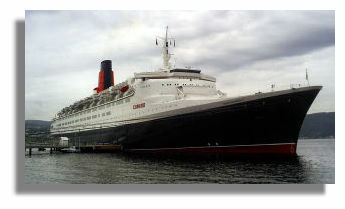 The QE2, one of the most famous ships built on the river Clyde, was launched at John Brown's shipyard by the Queen in 1967. It has served with the Cunard line longer than any other, but is now to be retired after a final voyage in September. It has been sold to The Palm Jumeirah development in Dubai and will take up residence there as a luxury floating hotel. The liner is expected to be in Greenock on the Firth of Clyde on 20 September to mark the 40th anniversary of its launch. It will be delivered to its new owners in November next year at a specially constructed pier. The Palm Jumeirah development is one of three man-made islands, shaped in the form of a palm tree, with a crown of fronds, surrounded by a crescent. Glasgow City Council has approved plans by Stefan King, a millionaire property developer, to create a family-orientated cafe-bar and restaurant, across two floors, using a disused subterranean railway platform in a corner of the Botanic Gardens. The aim is to recreate the original station, with its onion-shaped domes, which is considered by many to be one of the city's great "lost buildings." The plan includes an underground conference and performance centre as well as a night club. There will also be a children's play area and a miniature railway close by, as a reminder of the history of the location. The station was built in 1896, but became derelict after it closed in 1939. It is now little more than a hole in the ground. The council has a strategy of encouraging people to use parks and open spaces, even if that means allowing the construction of commercial ventures. But local residents are outraged about such a development in the Botanic Gardens, with its huge glasshouses and the recently refurbished Kibble Palace, a 19th century iron framed glasshouse. The Perth-based Stagecoach transport company has announced that passenger trials will begin next month of a new hovercraft service between Kirkcaldy in Fife and Portobello near Edinburgh. A shuttle bus will then take passengers to the centre of the Capital. 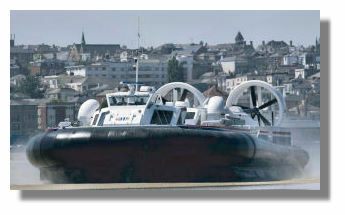 The hovercraft can take 130 people on the 20-minute crossing, with 11 services every day in each direction. The trial will run for two weeks to assess the demand for such a service. Stagecoach estimates that a two-hovercraft service, with a potential for 470,000 passengers a year, would cost £2 million to operate. See also Forthfast. The Fife seaside town of Kirkcaldy (pronounced "Kir-cawdie") used to be famous (or infamous, perhaps) for the smell of the many factories churning out linoleum. These days, it is no longer dependant on industry but is a major centre for shopping, education and health. The shopping precinct is pedestrianised and the seafront area much improved. But this week residents and businesses were being asked for their views on ambitious plans to improve the town centre, public spaces, traffic flow and the creation of a substantial number of new homes. The plans also propose refurbishing the Esplanade and sea wall, creating two piers and transforming it into a "riviera-style" destination. 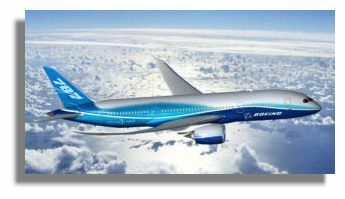 There was a double welcome this week when the Scottish-based airline Flyglobespan announced a purchase of a fleet of Boeing 787 Dreamliners powered by Rolls-Royce Trent 1000 engines. That will boost the Inchinnan plant in Renfrewshire where parts will be made and all the engines will be serviced. It was apparently the engine's more environmentally-friendly design that clinched the deal. Last December, Rolls-Royce landed a multi-billion pound deal to power the new Airbus A350 jetliners with a version of the same engine. When four Scottish Nationalist students snatched the Stone of Destiny from Westminster abbey in London on Christmas Day in 1950, it made worldwide headlines. Now there are plans to turn the story into a movie, with director Charlie Martin Smith (best known as an actor in The Untouchables, American Graffiti and several westerns) finalising casting and locations. The "Scottish heist movie" is being based on a book by one of the students who took part in the daring raid to take back to Scotland the Stone of Destiny (reputed to date back to biblical times) which had been pillaged by King Edward I in 1296. Ever since, it had lain under the Coronation throne in London and successive monarchs have been crowned while sitting above the stone. And of course, just as there were suggestions that Edward had been palmed off with a copy, there have been rumours that it was a copy that was eventually returned to London, having been left in Arbroath Abbey, wrapped in the Scottish flag. Those involved were never prosecuted, possibly because the "ownership" of a stone stolen from Scotland could have been challenged. Last October, the world-famous Gleneagles luxury hotel and golf course abandoned a joint venture with a Dubai-based development company. This would have created another five-star hotel, two golf courses and high value housing on a 600 acre site at nearby Blackford, a project previously known as Gleneagles West. The Perthshire leisure complex decided instead to concentrate on an £18 million investment programme, which will include a new spa, restaurant and leisure facilities, and golf course and estate development. The aim is to make certain that Gleneagles is "the best of the best" when it hosts the Ryder Cup in 2014. Now Dubai-owned Ochil Developments has announced plans to go ahead on its own. There would be a championship golf course, clubhouse, a 180-room five-star hotel and residential and time-share housing with price tags ranging from £1.75 million to £3.4 million. 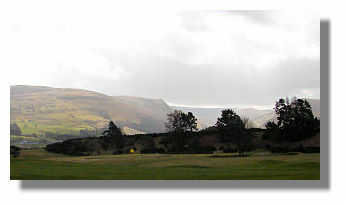 DMK Golf Design has been engaged to draw up plans for the course. Work is expected to start next month, but as the housing will be a phased development, the project will take nine years to complete. Oh yes they have - academics at Glasgow University have been awarded £500,000 to study the history and cultural impact of Scottish pantomime. The three-year project will examine the emergence of the popular entertainment in Scotland in the 19th century and its history to the present day. It will also look at the unique appeal and significance of pantomime to Scottish audiences. Despite competition from TV, film and the Internet, pantomimes are still popular, attracting large audiences to see the latest rendition of classic children's stories, often with a major element of comedy. Scottish comedians such as Stanley Baxter, Rikki Fulton and Jimmy Logan were regular performers until the 1990s and attracted large audiences.. Modern comedians such as Elaine C Smith, Gerard Kelly, Andy Gray and The Krankies have carried on that tradition into the 21st century. 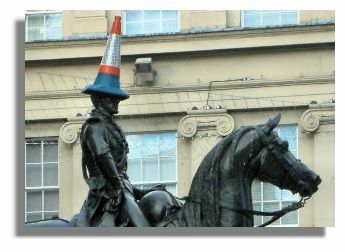 Although recently the Duke of Wellington's equestrian statue outside the Gallery of Modern Art in Glasgow has not been sporting a red and white traffic cone on the head of the Iron Duke, that headgear was at one time an almost permanent fixture. At one point it was suggested that it was not appropriate and efforts should be made to stop its reappearance every time it was removed,. But there was support in high places, including the Lord Provost, who expressed disappointment, saying that it highlighted the Glaswegian sense of humour. His predecessor, ex-Provost Pat Lally joined in and also agreed it should stay on as the "Joke of Wellington". Eventually, however, the cost of repairing the damage to the statue caused by people climbing up to replace the traffic cone on the head of the victor of the Battle of Waterloo, persuaded the authorities to try to put stop to the prank. Now a local lawyer has launched the "Glasgow Hat" - shaped like a traffic cone. It's not quite the same as "I love New York" T-shirts, but the hope is that it might replace the "See You Jimmy" hats (tartan tammies with artificial red hair hanging down which are sold by all the souvenir shops to unsuspecting tourists and locals alike). The lawyer says he has other ideas for local souvenirs but says "I'm keeping those under my hat!" A public toilet ("rest rooms" in some parts of the world) in St Andrews was sold this week for £195,000 to an unnamed buyer who may convert it to housing. Fife Counci,l who sold the property, got a right royal flush as the auction had a guide price of only £50,000. Even with its location close to the historic West Port, it was expected to fetch £100,000 at the most. The building has no upper floor and only three rooms, so will require a lot of expenditure before anyone can "spend a penny" there again. It was little consolation that Scotland has had a drier June than any other part of the UK so far this week as torrential rain in parts of the country on Thursday caused flash floods, thunder storms, power cuts for 2,000 homes in Ayrshire and disruption to rail services after flooding on the Edinburgh to Glasgow line. The downpours were very localised - while the heavy rain affected some parts of Glasgow, a few miles away the sun was shining. Earlier in the week, there had been a lot of cloud and sunshine was in short supply - once again the Western Isles fared best as winds tended to come from the east, over the North Sea. Temperatures reached around 20/21C (68/70F) at best in the west, but Aberdeen only managed to reach 14/15C (57/59F) in the early part of the week. 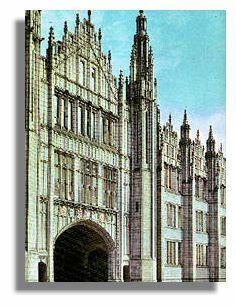 The respected 19th century architect Archibald Simpson was the genius behind many of Aberdeen's most famous buildings, including the Marischal College (seen here), Aberdeen Royal Infirmary, St Andrew's Episcopal Cathedral, and the Music Hall. He also designed the building used by the old North of Scotland Bank - which is now a bar named in his honour. A new book celebrating Simpson's contribution to the Granite City has just been published as an overdue tribute to a man who influenced the development of the city over the last 200 years. Not all of his buildings have been cherished in the way they should - his "Triple Kirks" (the only single building in Scotland to house three churches for three congregations) has fallen into disrepair and various plans to preserve the remaining part of the building have come to nothing. Last Gasp Bid to Save "City of Adelaide"
There have been previous failed efforts to save the clipper "City of Adelaide" which has been rotting on a slipway at the Scottish Maritime Museum in Ayrshire for the last 15 years. But yet another bid to raise £1.5 million has been started by the north-east England city of Sunderland, where the ship was built in 1864. 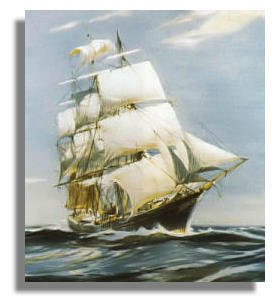 The ship is five years older than the "Cutty Sark" which is moored on the river Thames as a tourist attraction. But experts had reported that it was not really worth restoring as so much woodwork would need to be replaced on the "City of Adelaide" (also known for many years as the "Carrick" when she was moored in Glasgow). Permission had been granted to "deconstruct" the clipper, but now a last-ditch effort to save her has been initiated. 1,000 million years of geological history has helped the Lochaber area of Scotland to become Europe's newest "geopark". It stretches from Rannoch Moor in the south to Knoydart in the north, and from the Small Isles in the west to Glen Spean in the east. 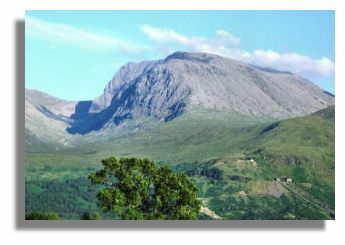 Ben Nevis, the UK's highest mountain, is within its boundary. The North West Highlands area was awarded geopark status in 2004. A geopark is defined as "territory encompassing one or more sites of scientific importance, not only for geological reasons but also by virtue of its archaeological, ecological or cultural value." The local tourism organisations aim to use the designation to encourage visitors to come to see its unique features. June 24 1314 - Robert the Bruce defeated Edward II at Battle of Bannockburn. June 25 1799 - David Douglas, explorer and botanist, born at Scone, Perthshire. 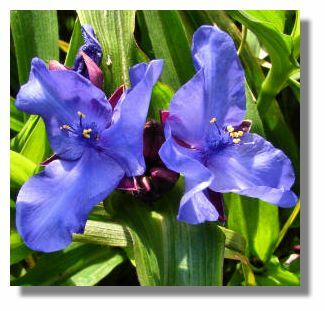 In addition to the Douglas Fir, he brought back to Europe lupins, phlox, penstemmon, sunflowers, clarkia, Californian poppy, mimulus, flowering currant, rose of sharon and mahonia. June 25 1887 - Wallace statue unveiled at the Wallace National Monument, Stirling. June 25 1971 - Lord Boyd Orr, biologist and Nobel Prize Winner, died. June 25 1876 - Seven Scots, including John Stuart Forbes, were in the US 7th Cavalry with General Custer at the Battle of the Little Big Horn. June 25 1891 - The first Sherlock Holmes story by Edinburgh-born author Arthur Conan Doyle was published in the "Strand" magazine. June 26 1488 - James IV crowned king at the age of 15 at Scone. He reigned until 1513 when he fell with the flower of Scotland's nobility at the Battle of Flodden Field. June 26 1695 - Darien Company formed to set up a Scottish colony in Panama. June 26 1830 - King George IV died, aged 67 (and William IV ascended the throne). George IV is reckoned to be Britain's fattest king. His favourite breakfast was two roast pigeons, three beefsteaks, a bottle of white wine, a glass of champagne, two of port and one brandy. June 27 1583 - King James VI (aged 8) escaped from Castle Ruthven. June 28 1838 - Queen Victoria crowned at Westminster Abbey. June 30 1857 - Start of trial for murder of Madeleine Smith who was eventually found "Not Proven"
This year's Proms in the Park festival in Glasgow Green in September will have performances by cellist Julian Lloyd Webber and by a carnyx - a large bronze trumpet used by Celtic tribes around 2,000 years ago to inspire their warriors and terrify their enemies. They were also played at ceremonial events. 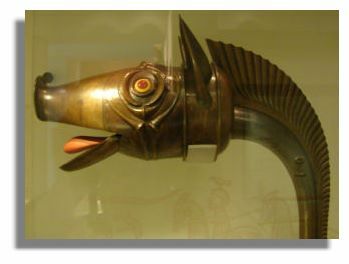 The head was often in the form of a boar's head, an animal feared for its strength and cunning, with a movable tongue and lower jaw. The free concert will also feature performances from the National Youth Choir of Scotland and the BBC Scottish Symphony Orchestra as part of the BBC's annual classical music celebrations. The concert is also being projected on a large screen for an audience in the grounds of Cawdor castle in Nairn. Bard in the Botanics is Scotland's only annual outdoor Shakespeare festival. Staged within the spectacular and historic surroundings of Glasgow's Botanic Gardens, the festival has attracted thousands every year to see Shakespeare performed in a magical outdoor setting. This year's festival runs from June 28 to August 4 and features, appropriately, "A Midsummer's Night Dream". John Macauley, one of the actors in TV's Scottish "soap" River City takes on a different role in "Othello". There is also a summer school for youngsters covering three weeks in July that finishes with a version of "Twelfth Night" in August. More than 150,000 spectators are expected to attend the Royal Highland Show at Ingliston, near Edinburgh, over the four days from Thursday 22 June. The event is always the highlight of the Scottish farming and food industry calendar, but for many years has also been geared towards attracting the general public as well. For most visitors, whether farmers or city-dwellers, the star attraction is always the animals on show, including 5,000 of the top pedigree stock from across Scotland. 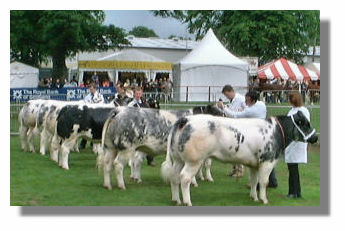 There are also stalls and demonstrations covering outdoor living, rural skills, forestry, fashion, cookery and shopping. Edinburgh's Royal Botanic Garden stayed open until 11pm on 21st June - the longest day of the year. There was music and storytelling in the garden and the café, glasshouses, Exhibition Hall and Inverleith House remained open until 9pm. After that, visitors just wandered around and enjoyed the open spaces and the views over the city. Being so far north, sunset on 21st June in central Scotland was not until just after 10pm (with sunrise at 4.30am). This northern festival was begun in 1977 with the support of London-based composer, Peter Maxwell Davies who had made his home on the island of Hoy. The festival, which runs for six days at midsummer each June, has grown from small beginnings into one of Britain's most highly regarded and adventurous arts events. There are world-class performances as well as community participation. And, of course, there is the magic of Orkney at midsummer, when there is daylight even at midnight. This year, it runs from 22-27 June and encompasses drama, dance, literature and the visual arts as well as music. For more information, see St Magnus Festival. 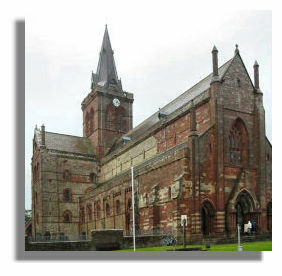 Picture of St Magnus Cathedral via Wikipedia. A stunning exhibition at Aberdeen Art Gallery will tell the story of how Japanese art and culture swept the world and transformed western aesthetics. Land of the Samurai celebrates the rich and varied Japanese treasures held in public and private collections in Aberdeen. As well as a spectacular array of Japanese artefacts - including a magnificent collection of samurai swords and Tsuba sword guards - the exhibition will also contain many European paintings that reflect the craze for all things Japanese during the period when Japan opened up to the west. The exhibition can be seen at Aberdeen Art Gallery until Saturday, August 18. When the winners of the inaugural art awards established by successful Scottish artist John Lowrie Morrison (known as Jolomo from the initial two letters of his name) were announced this week, it was four of the female contestants who swept the board. The top prize in the Jolomo Awards for up-and-coming Scottish painters was won by Anna King, a 23-year-old from the Scottish Borders. Sister artists Helen Glassford, Rebecca Firth and Ingrid Fraser also won prizes at a ceremony in the National Museum of Scotland in Edinburgh. Sponsored by Lloyds TSB Scotland, the new biennial competition is for artists who live and work in Scotland and have studied at a Scottish college of art. For more on the Jolomo Awards (with examples of work from all the entrants) see Jolomo Awards. The main focus of the Scottish Snippets is news items, usually about Scotland. But the "Scots Abroad" section, invites folk to write in about Scottish-related events in their part of the world. It allows publicity for them and an appreciation by others of just how much Scottish culture is perpetuated in every corner of the globe. The Halifax Highland Games and Scottish Festival 2007, the centerpiece of a five day Scottish cultural celebration, will be held on July 7 (07/07/07 in other words). This will be the 34th consecutive Halifax Games and opens with the Grand Parade on Thursday, July 5 at noon, when the flag of the Federation of Scottish Clans in Nova Scotia will be raised on the municipal flag pole. 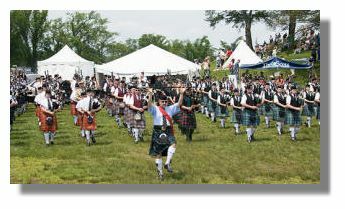 The Games start at the Garrison Grounds at 8 am on Saturday, July 7 with the Piping and Drumming competition and performances of the massed bands - with an extra 1,000 pipers in the city for Pipefest 2007. No Highland Games would be complete without the "Heavy" events or Highland Dancing and music. This is a special year for the Clans, with the holding of the International Gathering of the Clans in Nova Scotia in 2007. On Sunday, there is the annual Kirkin’o the Tartans in St Matthews Church at 11 am, in association with the Federation of Scottish Clans. The Pipefest 2007 Parade of a thousand pipers, following a route through downtown Halifax, will commence in the early afternoon, ending up at the matinee performance of the Royal NS Tattoo. Monday will see the Annual Kilted Golf Tournament, winding up a jam-packed weekend. See also www.halifaxhighlandgames.com. 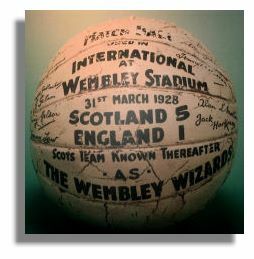 Football internationals between Scotland, England, Wales and Northern Ireland used to be a popular part of the annual fixture list. But a combination of a pitch invasion by Scottish fans at Wembley in 1977 and the troubles in Northern Ireland (they had to play their home games in Liverpool or Glasgow) brought the British Home Championship to an end. Now discussions have taken place about reviving these international matches - but without England and including the Republic of Ireland. All four football associations seem to be keen on the idea of a "Celtic Cup" tournament. However, because of the current fixture scheduling, it would be at least two years before it could be implemented. The games would be played on dates designated by Fifa for friendly internationals, thus avoiding any club-versus-country conflicts. The English Football Association have been kept informed and might decide to join in later, but are currently cool on the idea. 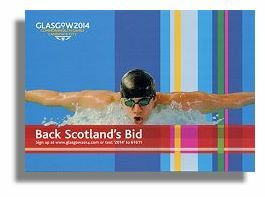 The web site which had been created in support of Glasgow's bid to host the Commonwealth Games in Glasgow in 2014 was initially aimed at providing information but also fostering support from across Scotland. The organisers reckon that with 1.7 million signatories to date, that objective has been achieved. So now the site has been redesigned to communicate more information about the bid itself and provide more technical information about venues and logistics. Glasgow's bid has been very professional since the outset and considerable efforts have been made to communicate its case to all the Commonwealth countries who will be voting in Sri Lanka on 9 November 2007. See www.glasgow2014.com. Mark McGhee has taken over as manager of Motherwell Football Club on a three-year contract. Now 50 years old, McGhee was a striker for Aberdeen, Celtic, Hamburg and Newcastle and had previously managed English clubs Reading, Leicester, Wolverhampton Wanderers and Millwall. Motherwell owner John Boyle claimed that McGhee was the only person to be offered the job. The new manager commented that he was surprised that he had not been offered a job with a Scottish club at an earlier stage in his managerial career. Motherwell had a run of one win in 13 games at the end of the season. Previous manager Maurice Malpas resigned, apparently not because of demands from the fans for a replacement, but apparently because he refused to accept the club's decision to replace his assistant, Paul Hegarty, with former club skipper Leitch. Despite playing only two full matches since the Miami Masters in March and being dogged with injuries since then, Andy Murray has risen to 8th in the most recent tennis world rankings. 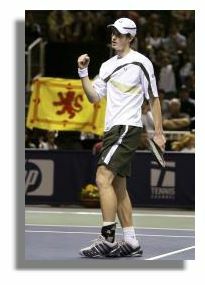 The 20-year-old Scot picked up a wrist injury in the first round of the Hamburg Masters on 15th May and has been struggling to get fit for Wimbledon. He had to pull out of the French Open and the Artois Championships but says he is much improved and back to hard training. If he does play at Wimbledon, his first round match will be against Nicolas Lapentti from Ecuador. 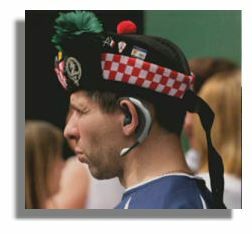 The "Magazine" section includes songs/poems of Scotland, Scottish humour and brief descriptions of Scottish Culture items added recently to the Rampant Scotland Website - with a link to the page where you can find the full feature, if you find the subject of interest to you. When one door sticks, another one opens. Mony cooks ne’er made a gude kail. (Too many cooks spoil the broth). A good tale never tires in the telling. James Affleck, the author of the song below, was born in the village of Drummelzier, in Peeblesshire, in 1776. His education was scanty but after a spell as a cowherd, he learned the trade of being a tailor. He became established as a master tailor in Biggar in Lanarkshire and became a leading member of the local freemason's lodge there. His poetry and songs were produced for the entertainment of his friends, but they were later published in two volumes. He died in Biggar in 1835. How Blest Were The Days! How blest were the days o' langsyne when a laddie! Sae sweet were the days o' langsyne when a laddie. What I wanted at night was in prospect to-morrow. Yet I always found something that pleased when a laddie. He fondly looks back to the joys o' a laddie. I tried to be happy, but, alas, foolish creature! Much sweetness in prospect embitters enjoyment. How numerous the woes are by which I am vex'd! How changed are the days since langsyne when a laddie! Donald and Morag's happy married life almost went on the rocks because of the presence in the household of old Aunt Jemima. For seventeen long years she lived with them, always crotchety, always demanding. Finally the old girl died. On the way back from the cemetery, Donald confessed to his wife, "Morag dear, if I didn't love you so much, I don't think I would have put up with having your Aunt Jemima in the house all those years." Morag looked at him aghast. "My Aunt Jemima!" she cried. "I thought she was your Aunt Jemima!" Lachlan's Laws - # 30 That great Highland philosopher, Lachlan McLachlan, propounded a number of irrefutable laws of life, the universe and everything, usually after a "bevvy" in the Auchenshuggle Arms on a Saturday night. Here is another example: "Someone who thinks logically makes a nice contrast to the real world." The editor of the Camlachie Advertiser was angry at the actions (and inaction) of the Members of the Scottish Parliament (MSPS) in Edinburgh. One week he ran a scathing editorial about their shortcomings and, in large letter, the headline said "Half the MSPs are Crooks." Needless to say, the local politicians were not well pleased and put a lot of pressure on the editor to retract. Eventually, he gave in and apologised, but with headline "Half the MSPs Claim They Are Not Crooks."